Patented BDC reticle: The BDC reticle allows hunters to hold 'dead-on' at ranges exceeding those previously thought possible. The BDC's unique see-through ballistic circles offer an incredible advantage for long range shooting, yet allow a normal sight picture for shorter-range shots where the crosshair itself is the aiming point. Multicoated optical system: Multicoated lenses boost light transmission up to 98%—unheard of in similarly priced scopes. Extremely bright sight picture: Allows for high-resolution images even when hunting in the least desirable conditions. 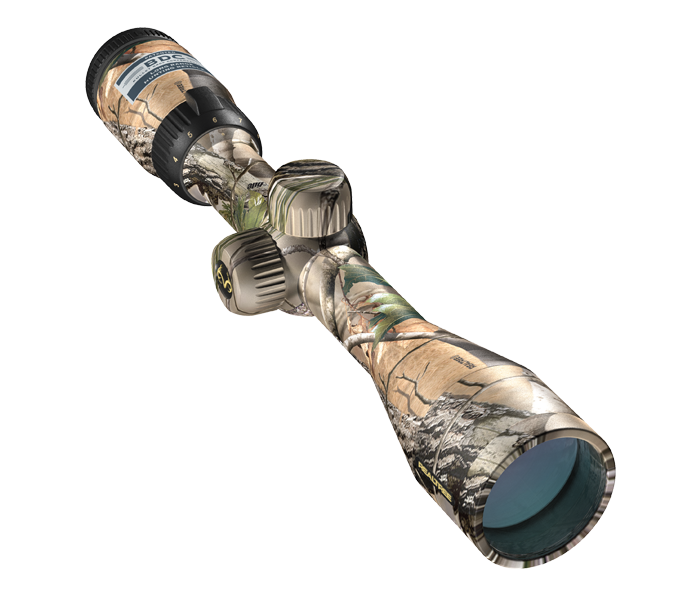 Versatile magnification range: Offers the flexibility needed for any type of hunting situation, from heavy timber to the open prairies. Precise hand-turn 1/4-MOA click adjustments: Positive-click reticle adjustments get you zeroed in quicker and maintain your setting even with heavy recoil. Waterproof, fogproof, shockproof: Nitrogen filled and O-ring sealed. Sun Shade Adaptable: 40 mm & 50 mm models.